Humboldt- Regionalgruppe Karlsruhe – Pforzheim e.V. How my research field is going to affect the world of science: Provide more rational and efficient seismic design methods for safer and more economic structures. My biggest success in research today is: Development of new more rational and efficient computational methods for analysis and design of structures. I have chosen the Karlsruhe Institute of Technology because of its high worldwide reputation in civil engineering and especially in geotechnical engineering. I like about the technology region Karlsruhe the high concentration of technological research units conducting high quality research at its forefront. With the help of my host at the KIT I would like to do develop new more rational and efficient seismic design methods for retaining walls. My research field: I am initiator and coordinator of a large project of the European Commission called INTUITEL. We are studying how the human thinking and learning may be supported by computers that have a pedagogical knowledge representation and draw conclusions from the observation of the learner. INTUITEL comprises 12 partner institutions, several of them here from Karlsruhe. Based on well established theoretical models of learning we actually develop “Adaptive Learning Environments” that will not end up as research models, but will be market-ready innovations that can be used all over the world. Another research project from my group is a semantically enhanced city model from Karlsruhe, which will be the basis for an interactive augmented reality computer game. And finally I am still connected to my old research interest in Quantum Field Theory. How my research field is going to affect the world of science: Current adaptive learning systems try to model their users, and then present to them a seemingly “optimally fitting” way to learn about a certain subject. This also applies to recommender systems, like e.g. presenting selected products in a personalized advertizing window on your computer. Our current research shows that it is actually better to be much broader in learning object recommendation, and to present nonintrusive guidance instead of a strict selection. INTUITEL therefore is expected by the European Commission to have a large impact on the field of Technology Enhanced Learning. My biggest success in research today is: In the 1990's I developed models and methods for relativistic quantum fields in hot and dense matter that are still widely used and quoted. I have chosen the Karlsruhe Institute of Technology because …. my own university is close by and I have several aspects in which I collaborate with KIT members. My research field: Chemistry and molecular programming and organization. How my research field is going to affect the world of science: Understanding and controlling the passage between the microscopic and macroscopic worlds is a key issue for the development of tomorrow’s new and smart materials. Programming materials function at the level of their molecular components is the ultimate challenge in functional molecular materials and will open a variety of possibilities in sensing, imaging, separation, catalysis as well in optical and magnetic devices. My biggest success in research today is: the development of molecular tectonics, in particular the design and generation of crystals of crystals by 3D epitaxial growth. I have chosen the Karlsruhe Institute of Technology because... KIT is a well known institution offering research diversity and quality. In particular, the presence of several highly recognized researchers at the main south and the north campuses opens the way to high quality collaborative research. Although, I do have a long standing collaboration with the group of Professor S. Bräse (department of Organic Chemistry), I am currently discussing with Professors M. Kappes and M. Rubin at the INT, Professor C. Wöll at the IFG and Professor A. Powell to set up collaborations and further develop the interactions between KIT and the University of Strasbourg. I am working on “Evaluating strain in monomineralic quartz rocks using magnetic fabric – integrating AMS, fractal and textural data”. This research deals with fabric analysis in rocks that do not have visible anisotropic structures. In terms of societal importance, it is to be noted that mineralization in rocks is controlled by anisotropy in them. Therefore, the proposed study of strain and fabric analysis in monomineralic rocks has implications to evaluate mineralized zones and thus influence economic growth of society. To have been able to establish my own AMS laboratory and research group in IIT Kharagpur (India). This laboratory functions as a NATIONAL FACILITY, where researchers from different parts of India come to analyze magnetic fabric in their rock samples. This facility has been instrumental in promoting AMS applications in Structural Geology & Tectonics in India in a big way. 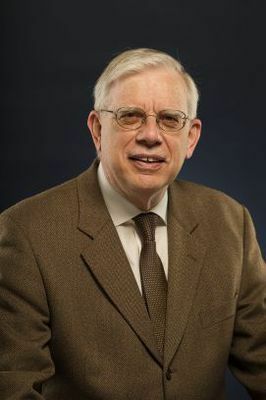 my host Prof. Reinhard O. Greiling (Lehrstuhl für Strukturgeologie und Tektonophysik, Institut für Angewandte Geowissenschaften) is one of the pioneers in integrating field, microstructural and magnetic fabric studies. We have been associated for more than 15 years and the collaboration has been academically very rewarding in terms of scientific development. KIT is a great academic institution. The facilities are excellent, and all parts of the region (and the institute) are well-connected. continue my long standing cooperation and broaden the applications of AMS in Structural Geology, particularly in rocks that lack visible anisotropic structures. his scientific originality and his successes in the study of microstructures, fabrics, and their evolution; his ability to apply scientific results to problems of society, in particular Structural Geology applied to mineral exploration and rock mechanics/engineering geology problems. scientific input, in particular his new and stimulating ideas and his lively discussions, and his cooperation in a number of geological topics. How my research field is going to affect the world of science: In today’s perpetually changing and increasingly globalised world, our society is constantly faced with new risks and challenges. My research identifies and examines the interdisciplinary crossroads of sociological, economic, cultural, and gender-specific aspects having an impact on current developments. In particular, my research field addresses questions relating to cultural conflict and radicalisation, and contributes to conscious concepts of dialogue and cultural arbitration. The development of transcultural understanding within the context of diversity and democratisation is a major international challenge. I have chosen the Karlsruhe Institute of Technology because of its excellent reputation and its openness towards interdisciplinary and intercultural research. Department: Experimental Physics, Physikalisches Institut, Karlsruhe Institute of Technology; Alexander von Humboldt fellowship at the University of Tübingen together with Prof. R. P. Hübener during 1989-1991. 10/97-09/99: Feodor-Lynen scholarship of the Alexander von Humboldt-foundation, (Host: Prof. Eugene E. Haller, Center for Advanced Materials at the Lawrence Berkeley National Laboratory (LBNL) and Center for Particle Astrophysics, UC Berkeley, USA). Oct 2010 – Dec 2014: Speaker, regional group Ruhrgebiet, Deutsche Gesellschaft der Humboldtianer e.V. 01/04/09-31/03/15: Honorable Guest Professor at Shizuoka University, Hamamatsu, Japan, affiliated to the Department of Nanovision Technology and the Graduate School of Science and Technology. Area of research: Accelerator research (KIT), physical chemistry and life sciences (past 15 years), astrophysics and material sciences (Feodor-Lynen/LBNL, DLR, MPIfR). My research field: I use physics, mathematics, and develop instruments to “see” what the human eye cannot see, because it is invisible and/or too fast. I plan to develop ultra-high speed cameras (detectors) and very bright lamps e.g. for illumination of objects (lasers and particle accelerators), which convert complex properties of matter in comprehensible images and movies to more easily grasp the underlying laws of nature. My research started in astrophysics to detect faint light from star-forming regions in the universe using methods in the far-infrared and terahertz (THz) electromagnetic frequency spectrum in-between microwaves (used in ovens and mobile phones) and infrared light (heat waves). I developed instruments to be robust, reliable, and small to fit on airplanes and satellites, which use telescopes for light collection. While telescopes image large scale objects in space to our human eye near-field microscopes can zoom into nanometer-sized objects. Infrared and terahertz techniques have applications in everyday life, research, and life sciences. How my research field is going to affect the world of science: The research and development made during my Feodor-Lynen scholarship led to a powerful laser and sensitive detection system based on a semiconductor laser, which pioneered - in the THz frequency range - with sufficient accuracy and reliability the measurement of (bio)chemicals such as proteins in the liquid of life: water. My biggest success in research today is: Together with my Humboldt host I developed and patented a semiconductor terahertz laser material and lasers, which can generate high power (several tens of Watts) and short pulses down to ~1 ps = 0.000000000001 seconds. … because I feel that KIT is the place to develop new exciting technology and techniques at the forefront of research, which enables to access, visualize, and answer questions in nature, for which we may not even know the question yet. My research field: My research field is Computational Geodynamics. Scientific interests of mine cover the physics and dynamics of the Earth’s crust and mantle and their surface manifestations, including sedimentary basics, mountains, seismicity, and seismic hazard. As a geophysicist, I interest it to understand a complex behavior of the lithosphere. As an applied mathematician, I interest it to bring formalism to Earth sciences. As a habitant of our planet, I interest it to know how to cope with disasters. How my research field is going to affect the world of science: When nature unleashes itself (resulting in earthquakes, volcanic eruptions or tsunami), it strikes where and when it decides. Disasters associated with extreme events cause loss of human life and environmental damage. There is no doubt that man will never be able to prevent these occurrences entirely. However, scientists working in the field of computational geodynamics are able to gain better understanding of the complex mechanisms behind natural hazards using modern mathematical tools and powerful computers. My biggest success in research today is in developing the computational methodology to model dynamics of the Earth in the past and linking this dynamics to the present. This allowed to explain the interplay of mantle dynamics, descending lithosphere, sedimentary basics, and hydrocarbon fields. This also helped to identify the sites of potential large earthquakes (e.g., in Tibet-Himalayan, Sunda Arc, Carpathians, Caucasus). I have chosen the Karlsruhe Institute of Technology because of excellent opportunities to work on multi-disciplinary research topics in geodynamics with outstanding German experts in tectonic stress analysis, seismology, and petrophysics. How my research field is going to affect the world of science: nowadays, the development of conductive materials is very important in the field of electronics. My biggest success in research today is: the preparation of photoresponsive materials with potential applications in controlled delivery systems and smart surfaces. I have chosen the Karlsruhe Institute of Technology because it is one of the largest and most prestigious research and education institutions in Germany. I like about the technology region Karlsruhe the facilities to perform high quality research and development activities. With the help of my host at the KIT I would like to... Due to the great experience of both hosts, the stay in the KIT will provide me unique learning opportunities. This research stay in Germany would also give me the opportunity to broaden my experience and knowledge in the area of macromolecular chemistry. As I am planning on pursuing a career within the academic field, this stay will put me in an excellent stance for my future career. You appreciate in your guest / your guest favorably impresses you by her impressive chemistry knowledge and dedication to her projects. You, your team and the KIT benefit from your guest’s... great scientific interactions, knowledge in macromolecular design and excellent colleague with drive and self-motivation. How my research field is going to affect the world of science: We are studying the smallest magnet in the world which must be one magnetic molecule or one magnetic atom on the surface. We believe this smallest magnet can be used as a quantum bit (q-bit) and it would contribute to the development of physics. My biggest success in research today is: We recently found the molecule which can work for our purpose. I have chosen the Karlsruhe Institute of Technology because of… the previous works of Prof. Wulfhekel’s group. Their home-build scanning tunneling microscope (STM) works stably at ultra-low temperature (below 1 K), which is capable enough to investigate the magnetic properties of individual magnetic molecules and atoms. I like about the technology region Karlsruhe… I am impressed by students in our group and our institute. Almost all of them are well educated, talented and motivated to do physics. With the help of my host at the KIT I would like to do… I would like to learn the measurement technique required to do above experiment and STM building techniques for my future. My research field: Hydrogen embrittlement, the degradation of mechanical behaviors caused by hydrogen, is a fundamental problem that has been studied in the past several decades. Its implications ranges from operations of off-shore wind turbines to oil and gas extraction to hydrogen economy. Although several mechanisms have been proposed, such as formation of hydride, hydrogen enhanced local plasticity (HELP), grain boundary decohesion, etc., the fundamental mechanism(s) of embrittlement are still controversial, and the molecular-level damage events shrouded in mystery. Computational materials science at atom-scale is now a robust and promising area that merged in the past thirty years. In addition to experimental and theoretical work, it provides new insights into researches on material structures, properties and various relationships. Recent development in high-performance computer makes it possible to perform large-scale simulation with millions of atoms, which is known as molecular dynamics (MD) technique. My research field here is primarily focused on the investigation of possible mechanism of hydrogen embrittlement by performing atomistic simulations. This work should be of general interest to the broad materials research community, as it is one of the best-known mysteries in materials science and one of the grand-challenge problems in engineering. My biggest success in research today is: We demonstrate the hydrogen-vacancy complex as the molecular-level agents of damage in hydrogen embrittlement. Our atomistic simulations show that the concentration of hydrogen-vacancy complex can reach extremely high levels during dislocation plasticity in the presence of hydrogen, and these complexes prefer to aggregate by absorbing additional vacancies and act as the potential sites for inducing further failure. I have chosen the Karlsruhe Institute of Technology because it has an excellent scientific environment and possesses a very good reputation in mechanics and engineering, and also my host Prof. Peter Gumbsch leads one of the most excellent simulation groups in Germany. I like about the technology region Karlsruhe in the aspects of its solid foundation and orderly organization. With the help of my host at the KIT I would like to further improve myself and continue my scientific work as postdoctoral researcher. The postdoctoral stage here will be the important experience in my whole academic life. My research field: My research field here is centered on the coordination chemistry of highly reactive species of gallium (Ga) and phosphorous (P). Our main aim is to form heterocycles PGaPGa which may be achieved by a wise choice of the substituents on the atoms. Our second aim is the study of their reactivity toward transition metals. Indeed, the reactive center of the PGaPGa cycle is supposed to coordinate to the latter. Theoretical calculations will support the project in order to optimize the stability of the derivatives. Such new reactivity is of particular interest especially in the catalysis field. How my research field is going to affect the world of science: We are looking for new behaviors of highly reactive derivatives. These new behaviors may introduce additional tools for catalysis. My biggest success in research today is being able to switch from organometallic chemistry to nanomaterials and polymer chemistry. These areas are complementary and allowed me to obtain original results. I've been able to design new precursors of germanium that abled us to get nanomaterials in really smooth conditions. I have chosen the Karlsruhe Institute of Technology because of the good reputations of the university and the research groups in inorganic chemistry. I have chosen this research group because of its topics and also for the nice working atmosphere in it. You appreciate in your guest / your guest favorably impresses you by his dynamism, curiosity and his communication skills. I like about the technology region Karlsruhe its green background and its multi-cultural atmosphere. Molecular high density arrays are still under development. Using them, it would be possible to conduct very efficient screens for combinatorial molecules with desired properties as binders to relevant proteins in life sciences, novel biocatalysts or molecules for organic electronics. My biggest success in research today is: ERC Staring Grant to develop these arrays. The KIT is an excellent place for engineers to develop ambitions ideas. For my ERC grant I have got from the KIT an unprecedented support in lab space, devices and management. The new innovation thinking of KIT is very impressive. How my research field is going to affect the world of science: New metrology tools enable progress in the field where they offer new insights. Such fields are, for example, the development of energy-efficient, low-noise engines and vehicles, non-contact medical diagnosis, or the understanding of dynamic phenomena in microelectromechanical systems (MEMS). My biggest success in research today is: The research I have accomplished on metrology techniques for MEMS for my doctoral thesis, my postdoctoral studies, and at industry research are now adopted in marked-leading products which are utilized world-wide by the leading MEMS research institutes and MEMS companies. The MEMS devices optimized with these metrology tools improve our daily live in technical systems like smart phones, cars, game consoles, multimedia devices, and many more. My research field: We experimentally research superconducting quantum circuits, who are promising solid state candidates as building elements for quantum computers due to their ultra-low dissipation, inherent to superconductors. Quantum computers make direct use of quantum-mechanical phenomena, such as superposition and entanglement, to perform computational operations on data. We explore the superconducting circuits, operated at 10 milliKelvin, with research interests ranging from readout techniques, qubit designs, resonant circuit material science to quantum simulation. How my research field is going to affect the world of science: Scaling up qubits, aka quantum bits, to construct a quantum computer will facilitate addressing challenges ranging from secure communication, fast data processing, to simulation and understanding of atomic and molecular dynamics. My biggest success in research today is: Seeing a student learning, becoming more independent, and, eventually, pushing the frontier in our field. Scientifically, we want to help bringing superconducting qubits closer to the ‘market’. While the commercialization of a fully-fleshed quantum computer may be several years or even decades ahead of us, first implementations of more limited versions are realized today. One important aspect is the coherence, or quantum state lifetime, of an individual qubit, why it is limited, and how it can be improved. Here we made contributions to the field. The research groups, infrastructure, scientists and collaborative environment it offers. For my field, the resources in Micro- and Nanotechnology, cryogenics, measurement setups, electronic and mechanical workshops required for high-profile research are demanding, and KIT is one of the few places where it can be found. How my research field is going to affect the world of science: Provide a better knowledge of the audiovisual media TV and Film to my home university that has no specialist for those media as far as German culture is concerned. This scientific knowledge is one of the prerequisites for analysis of German films on Cameroon and on Africa and the transfer of this knowledge to our society on one hand, and it is also important for the analysis of the impact of the media (especially TV and film) on the people in a developing country on the other one. During my last stay at KIT (1.9. – 30.11.2012), I therefore discussed with my partner, Professor Dr. Andreas Böhn, current Dean of the Faculty of Geistes- & Sozialwissenschaften, the opportunity to enhance a partnership between our both Departments of German Studies. The DAAD is now funding this cooperation, enabling the exchange of teachers and students for the said purpose. Since the Media Studies are poorly represented at my home university, I wish to gain knowledge on media studies and empower my PhD students so that in the future they can develop this field in my country. My biggest success in research to date is: I have contributed to develop a Department of Applied Foreign Languages at my home university. The teaching and research programs provided by that structure enable researchers to escape from the monocultural for a trans-disciplinary and intercultural approach of the European Studies in Cameroon. This model is being adopted by other universities in Cameroon because it provides a group of Academics from different fields the facility to develop and put to disposal solid knowledge of the European-African encounter since the 19th century. Furthermore, I would like to mention my contribution to the understanding of the impact of asymmetric contact of cultures on the development of the identity of people in subaltern position. I have chosen the Karlsruhe Institute of Technology because... I know my host, Prof. Dr. Andreas Böhn (Institut für Germanistik) since over 10 years, as I was completing my habilitation as a Humboldt fellow at the university of Mannheim. His coming to Karlsruhe gives me the opportunity to conduct my research at one of best universities in the world as far as Technology is concerned. I like about the technology region Karlsruhe... The given facilities for research and implementation of technological knowledge in the field of humanities. With the helf of my host at the KIT I would like to... Continue the scientific cooperation in teaching and research and to reinforce the knowledge of media at my home university and country. My research field: Zintl chemistry/ternary intermetalloid clusters, my work can be situated at the interface between theoretical and experimental (inorganic) chemistry. How my research field is going to affect the world of science:In this project we try to gain more insight into inorganic cluster formation, which is still widely unexplored and unknown to date. New techniques and quantum chemical methods are being developed in order to make predictions for future studies. I collaborate closely with Prof. Stefanie Dehnen and her group in Marburg in the hope that my results will lead to more rationalized (intermetalloid) cluster synthesis and derivatization. Quantum chemical investigations have an increasing importance in solving modern chemical problems. I have chosen the Karlsruhe Institute of Technology because... it is situated in one of the nicest areas from Germany and I can benefit from the extensive knowledge of my host. My colleagues, all Turbomole (software) developers, are doing quantum chemistry at a very high level. I like about the technology region Karlsruhe... it is a lively city, and not only a student city, with many cultural activities. The Karlsruhe area has beautiful nature and many interesting sights and attractions. With the help of my host at the KIT I would like to... broaden my knowledge in the field of quantum chemistry and learn new methods and new software. How my research field is going to affect the world of science:The outcome of my proposed research, I believe, will add significantly to the ongoing efforts of scientists to find ideal delivery platform in order to deliver genes or drugs. My biggest success in research today is: Publishing two papers in Biomacromolecules and JACS in my postdoctoral studies at University of Massachusetts. We have reported in Biomacromolecules paper encapsulation, stabilization and pH responsive release of lisosomal protein acid alpha glucosidase. In JACS paper we have reported protein induced disassembly of a nanoassemblies. I like about the technology region Karlsruhe... In this institute there are various start up companies where scientists transferred their work from laboratory to industry. This part of research i.e. bridge between laboratory invention and industry, I liked very much. With the help of my host at the KIT I would like to do... Research in the field of gene delivery where I would try to develop a strategy to find out highefficient nonviral transfection agent by highthroughput screening. (1) Every substance is composed of atoms/molecules. It is the truth of the universe. (2) My research field is strongly related to development of innovative materials being useful for sustainable and comfortable human’s life, such as energy materials, electronic materials and healthcare materials. My biggest success in research today is to pass fellowships for my PhD and Postdoc periods. I have chosen the Karlsruhe Institute of Technology because... my host professor accepted my Postdoc stay by him; KIT is one of the most famous and greatest universities in Germany as science and technology research institute; and the name is similar to my home University. I like about the technology region Karlsruhe... many special facilities can be used in my research activity in Karlsruhe, for example, the professor, who invented 3D printing method using laser beams, belongs to KIT; and I eat a lot of Maultaschen. With the help of my host at the KIT I would like to... get results, results, results!!! How my research field is going to affect the world of science: Here we are interested to quantify the effect of molecular structure, especially long chain branch (LCB) topologies, on the foaming properties of polymers. Rheological methods in the framework of molecular theories (e.g. Pom-Pom model or MSF model) will be used as an applied sensitive tool to connect the molecular structure (e.g. Molecular weight, Polydispersity and LCB) to the flow properties. Foaming process could be simulated as a bubble growth which is a type of biaxial deformation flow. Therefore molecular theories could predict this biaxial deformation field and make a direct connection between the molecular structure and foaming characteristics (final bubble size and density). My final target in this project is to simulate bobble growth phenomenon using a molecular model to quantify the effect of molecular topology (especially LCB) on the final foam properties. My biggest success in research today is Simulation of MSF and Pom-Pom model in different deformation fields (e.g. Transient shear, uniaxial and biaxial extensional flow and large amplitude oscillatory shear, LAOS,). We also prepared a lab-scale batch foaming setup to make foams under controlled temperature and pressure conditions from synthesized polymers with well characterized and controlled molecular structure with respect to the molecular weight, polydispersity and LCB topology. I have chosen the Karlsruhe Institute of Technology because... of the high reputation in the field of polymer science, rheology and chemistry. Our group is expert in the field of synthesis of well characterized anionic polymers as well as rheology combined with other characterization methods. My short experience in 2011 at ITCP also helped me to know the institute and the group of Prof. Wilhelm as an active group in science and social activities. I like the technology region Karlsruhe... because of excellent research facilities, high concentration of technologies and industries, and a good region to live with family. With the help of my host at the KIT I would like to do... my best in the scientific research field and develop my network contact with other researchers from academics and industries in the field of polymer synthesis, rheology and polymer processing. How my research field is going to affect the world of science: My team and I work with industry partners to advance the next generation of fuel cell and electrolyzer technologies to be used for clean transportation with zero greenhouse gas emissions. My biggest success in research today is performing unique visualizations of the microscale features of gas and liquid flows and correlating their performance to these small scale transport phenomena – research that has enabled us to design new materials for advancing clean energy technologies. I have chosen the Karlsruhe Institute of Technology because... I had the once in a lifetime opportunity to work with Dr. Roswitha Zeis, a world-renown expert in high temperature polymer electrolyte membrane fuel cell technologies. I like about the technology region Karlsruhe... the breadth and depth of technology and collaborations available at KIT is to be envied throughout the world. I am delighted to have had the chance to work and interact with researchers at KIT, and I look forward to continuing these collaborations into the long-term future. Dr. Roswitha Zeis has enabled me to participate in a new area of research – high temperature polymer electrolyte membrane fuel cells – and with her help, I have strengthened and built new collaborative relationships throughout Germany. How my research field is going to affect the world of science: Enabling a world of green energy and long-run sustainability. I have chosen the Karlsruhe Institute of Technology because... it is strong in technology and energy economics. I like about the technology region Karlsruhe... in strong collaboration with industries and emphasis on implementation of the research output. With the help of my host at the KIT I would like to... do impressive research on economic analysis of renewable energy support in China, and attend some projects in collaboration with electrical industries in Germany. My research field: silicon solar cells. How my research field is going to affect the world of science: The use of solar cells can reduce the environmental impacts of combustion used in fossil fuel power generation, such as impacts from greenhouse gases and other air pollution emissions. My biggest success in research to date is: Putting forward a concept and innovate route using single-junction ultrathin silicon solar cells to achieve ultrahigh efficiency, which far exceeds the conventional S-Q limit. Another success is I was rewarded as a Humboldt Research Fellowship of Experienced Researcher. I have chosen the Karlsruhe Institute of Technology because… I was expecting that more opportunities can be offered to me to advance my career. I like about the technology region Karlsruhe… like technology innovation center of KIT about technology communication and information updating. With the help of my host at the KIT I would like to… research and develop ultrahigh-efficiency silicon solar cells. How my research field is going to affect the world of science: Improve seismic hazard assessment close to fluid injection wells, make fluid injection operations safer and more efficient. My biggest success in research to date is: Use micro-earthquakes to monitor stress build-up before stick-slip events in the laboratory. Micro-earthquakes also play a significant role in documenting stresses in the upper crust and in illuminating preparatory processes before large earthquakes. I have chosen the Karlsruhe Institute of Technology because… of the possibility to investigate seismicity in geothermal reservoirs. I like about the technology region Karlsruhe… The applied geosciences department is well-connected within the regional technology environment and has many collaborations with local energy companies. With the help of my host at the KIT I would like to do... Conduct a large-scale comparative analysis between waste-water injection and geothermally induced seismicity to better understand the corresponding seismic hazard. How my research field is going to affect the world of science: Evolution has tune protein to trigger electron transfers with an impressive precision in means of performance and selectivity. Computational simulations can provide a very interesting insight of such mechanisms at a molecular/atomic level, and help to understand the key role of the environment and of quantum process. Constant development in computational power and in simulation programs increase everyday our possibilities in this field. Strong collaboration with experimental groups allows a large field of application from description of protein role to development of biomimetic material. My biggest success in research to date is: I do not have one big success in mind but several small successes: in my different groups, we studied different proteins (Flavocytochrome B2 enzyme, hydride carrier emoB, PhrB photolyase) with different reactions and different computational protocols. For each, my goal was to describe the role of the environment and the impact of a small structural change on the protein efficiency. I have chosen the Karlsruhe Institute of Technology because… my host is here! But the good reputation of the KIT in chemistry and physics was also a good point. Possibility to candidate for a Humboldt Fellowship represented another argument. With the help of my host at the KIT I would like to do… to develop a versatile computational tool for the different kind of electron transfer we can find in proteins. This requires theoretical development, programing, test and applications! How my research field is going to affect the world of science: Application of emulsion-based systems for encapsulation and oral delivery of food active ingredients is the main purpose of my research. The two main benefits of my research are as follows: 1) reducing the need for orthophosphate supplementation for animals and 2) increasing the bioavailability of the minerals and improving the human health. My research outcome may be considered of particular interest in food, pharmaceutical, and animal feed industries. My biggest success in research to date is: Publication of several papers in high impact factor journals and book chapters which are all the outcome of my PhD research project entitled “Extraction of carotenoids from plant materials using microemulsions and pulsed electric fields”. I have chosen the Max Rubner-Institut because… it is a well-recognized nutrition and food research institute both in Germany and worldwide. The institute is well equipped with the necessary instruments and facilities required for performing a diverse range of analyses. My host, Dr. Ralf Greiner, is a well-known scientist in his expertise field of enzyme technology in which I can extensively benefit from. I like about the technology region Karlsruhe… because of its good research facilities, highly qualified researchers and dynamic research groups in the field of food science which open my mind to new ideas and approaches, as well as being an important business and industry hub. With the help of my host at Max Rubner-Institut I would like to… further broaden my horizons in the field of enzyme technology, publish more scientific papers and books, and use my host connections to collaborate with other fellows within Germany and internationally. How my research field is going to affect the world of science: Superconducting circuits are one of the leading candidates for the physical implementation of quantum information processing. If successful, it is quite difficult to imagine the concrete societal and scientific impact of having a functional quantum computer, but it will change the way we relate to information processing. Also, it is likely that it will significantly speed up “hard” computational problems, such as the simulation of complex molecular structures. My biggest success in research to date is: To design circuits protected against dissipation by using the quantum interference of spurious dissipative particles. I have chosen the Karlsruhe Institute of Technology because of its strong tradition in Solid State research. I knew that I would find here a critical mass of motivated and competent researchers and students. What I like most about the technology region Karlsruhe is the fact that there are many opportunities for highly educated graduates in science and technology. This helps a lot in recruiting competitive physics students, some of which start their career in our laboratory. With the help of my host at the KIT I would like to develop an original idea of how to construct superior quantum circuits. It is a high risk/high gain project, which, if successful, could push the performance of our quantum circuits in the realm of the first meaningful industrial applications. My biggest success in research to date is: Preparation of 3d-4f nanoclusters and investigation of magnetic properties. I have chosen the Karlsruhe Institute of Technology because it is one of the prestigious institute in Germany where researchers have excellent opportunities to work on multidisciplinary research topics. With the help of my host at the KIT I would like to complete this scientific assignment which will open new avenue in energy saving smart glass windows. I will gain experience in a large number of analytical techniques, including X-ray diffraction and electron microscopy. The gained expertise provides an excellent foundation for a career in material science. How is my research field going to affect the world of science: We are looking for sustainable and safe nuclear technologies to solve human beings energy problem. My biggest success in research to date is: discovery of chaotic motions of soliton, zero-wave resistance of a ship moving in a shallow channel and fundamental solutions of traveling wave reactor. I have chosen the Karlsruhe Institute of Technology because KIT provided me a permanent research position. Name of home university / Research Institute: Centre of Excellence in Molecular Biology (CEMB) University of the Punjab. Lahore, Pakistan. How is my research field going to affect the world of science: Begomoviruses (Geminiviridae) are plant viruses with a broad host range in dicotyledonous species like tomato (Tomato leaf curl new dehli virus, ToLCDNV) and cotton (Cotton leaf curl virus, CLCuV) where they cause significant economic damage. CLCuV devastated the Pakistan cotton industry in the early 1990s where it resulted in an estimated yield reduction of 30-35% and still causes a yearly loss of 660 Million €. Begomoviruses are obligately transmitted by an insect vector like the whitefly species Bemisia tabaci. Genome editing helps develop new plant varieties in a short time compared to traditional breeding techniques. Among programmable nucleases, the bacterial CRISPR/Cas system is a versatile NPBT tool to edit complex genomes at specific sites. This work aims to characterize and further extend the use of CRISPRs for the genetic modification of Begomovirus host plants and its viral vector. It might be a very attractive and expected to provide big breakthrough for control of Begomoviruses and to save loss of millions of bales of country like Pakistan every year. During current research I have developed more than fifty constructs against cotton leaf curl virus and its insect vector and sent back to Pakistan for introduction into cotton plant. Also I have developed transgenic tomato harboring these targets here at KIT Karlsruhe Germany. I have chosen the Karlsruhe Institute of Technology because my host Professor Holger Puchta, Molecular Biology and Biochemistry at KIT’s Botanical Institute, is considered pioneer of genome editing. He is the first scientist worldwide to demonstrate genome editing in plants. I am lucky enough to get chance to work under his guidance for establishing this state of art technology in my country Pakistan. I like about the Technology Region Karlsruhe, because the research, development, education and teaching facilities of the Karlsruhe Technology Region regularly hold top positions in international rankings. With the help of my host at the KIT I would like to do: I want apply CRISPR Cas technology to solve serious problem of Cotton leaf curl virus for cotton growing community. I also want to continue my collaboration for future collaborative projects and technology advancement in my home country with the help of my host at KIT. My research field: Aerosol science, cloud microphysics, ice nucleation (aerosol-cloud interactions), and biogeochemical interactions of aerosols in the atmosphere. Name of Research Institute: Institut für Meteorologie und Klimaforschung - Atmospheric Aerosol Research (IMK-AAF), Karlsruhe Institute of Technology (KIT), Germany. How is my research field going to affect the world of science: My current research is focused on understanding the ice nucleation properties of both natural and anthropogenic aerosol particles. The results from my research can be directly applied in artificial cloud seeding and geoengineering, cryopreservation technologies, material optimization to enhance or inhibit freezing. My biggest success in research to date is: Making the first-ever measurements of ice nucleation by combustion ashes. This work highlighted a major problem in the field of ice nucleation and atmospheric composition studies, specifically, that it is difficult to distinguish analytically between ash and mineral dust in the atmosphere. It also clearly showed how the chemical composition of aerosol particles can influence their cloud formation abilities. I have chosen the Karlsruhe Institute of Technology because IMK-AAF in KIT has the one of the best state-of-the-science cloud chambers (AIDA Chamber) with bespoke design in studying the ice nucleation by aerosols in different clouds conditions and other excellent research facilities. KIT is also home for world-class experts with internationally reputable and innovative researches in the field of atmospheric chemistry and physics. What I like about the Technology Region Karlsruhe is the access to excellent infrastructures, superb conducive environment and opportunities for collaboration with industries and emphasis on translation of research to technological innovations. I love the weather, the people are very welcoming, excellent living areas and communities for families and the culture. With the help of my host at the KIT I would like to explore the understanding of ice nucleation by combustion aerosol particles and other emerging particles. Taking advantage of the excellent technological environment, I would also like to engage in instrument development for use in my research area. How is my research field going to affect the world of science: Employing the levitation based on the electromagnetic phenomenon provides a unique opportunity to dramatically reduce the thermal noise in micro-systems and establishes a new benchmark in micro-system performance. My biggest success in research to date is, that we was able to demonstrate the proof-of-concept of a hybrid contactless suspension with adjustable spring constant, which was announced in my Humboldt project titled as ‘‘Micromachined contactless suspension with zero spring constant for application as an accelerometer’’. I have chosen the University of Freiburg because the University provides outstanding research facilities to carry out the scientific project with an ambition goal. Research period (as a Humboldt-fellow) at KIT: 06-08/2015, 06-08/2016, 06-08/2017, and 09/2018-05/2019. How is my research field going to affect the world of science: Enhance the efficiency and stability of fusion gyrotrons and enable large scale 3-D full wave time domain PIC simulations using HPC. I have chosen the Karlsruhe Institute of Technology because IHM-KIT is one of the key research groups of fusion gyrotrons in the world. I like about the Technology Region Karlsruhe College town, beautiful and nice KIT campus, and nice forests around KIT North. With the help of my host at the KIT I would like to do succeed in the research project funded by the Alexander von Humboldt Foundation. How is my research field going to affect the world of science: My research concerns the application of physical principles and measurements to the development of high technological materials. This includes the synthesis, structural and physical characterization as well as potential applications of new materials with a variety of physical, chemical, magnetic and electrical properties. My biggest success in research to date is the acquisition of the Georg Foster Postdoctoral Fellowship to carry-out the synthesis and electrochemical characterization of Layered Lithium-Rich Spinel Composites/Core-Shell Structures for Li-Ion Battery Cathodes. I have chosen the Karlsruhe Institute of Technology because it is a leader in energy conversion and storage research and of course, one of the best technological and science oriented universities in Europe. I like about the Technology Region Karlsruhe because of its excellent research facilities, close collaboration with industries and the beautiful city of Karlsruhe. With the help of my host at the KIT I would like to develop into a research leader in my chosen field and most importantly, develop research partnerships that will give me flexibility to steer my research career. Your next university after your research stay at KIT will be: Covenant University, Nigeria. How is my research field going to affect the world of science: Solar energy systems/power plants do not produce air pollution, water pollution, or greenhouse gases. Using solar energy can have a positive, indirect effect on the environment when solar energy replaces or reduces the use of other energy sources that have larger effects on the environment.